You don’t just have to fasten your skates on and twirl across the ice to feel good here with us. 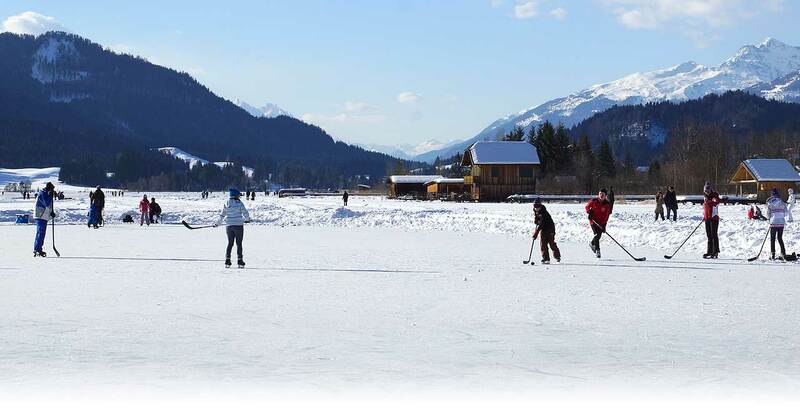 On the frozen Lake Weißensee there’s also room for many other sports – ice hockey, traditional curling, cross country skiing, hiking, biking, and so on. 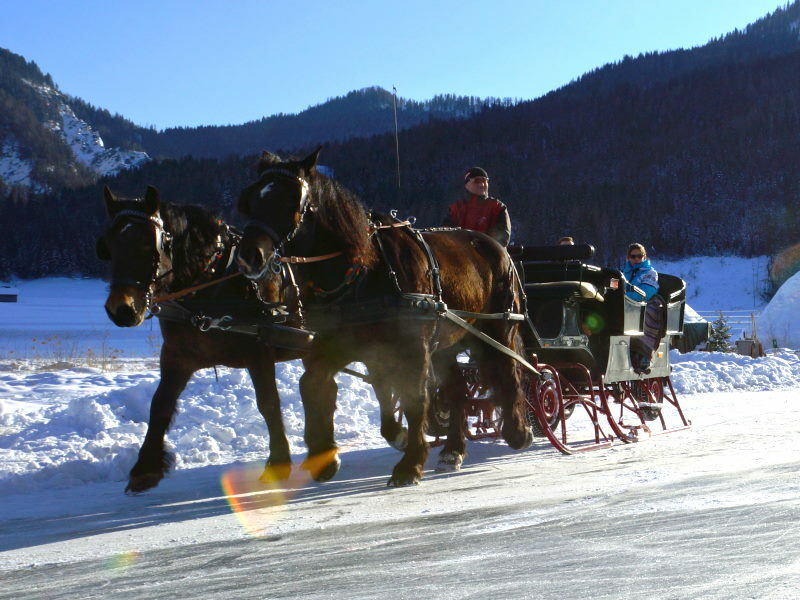 On Lake Weissensee there are separate areas provided for playing hockey and traditional curling, tracks are traced out for cross-country skiing and sunny paths are laid out for romantic winter walks on the lake. Investments have been made in the quality of the network of cross-country trails on Lake Weißensee, and as part of this a biathlon centre with a biathlon laser shooting range has been built. 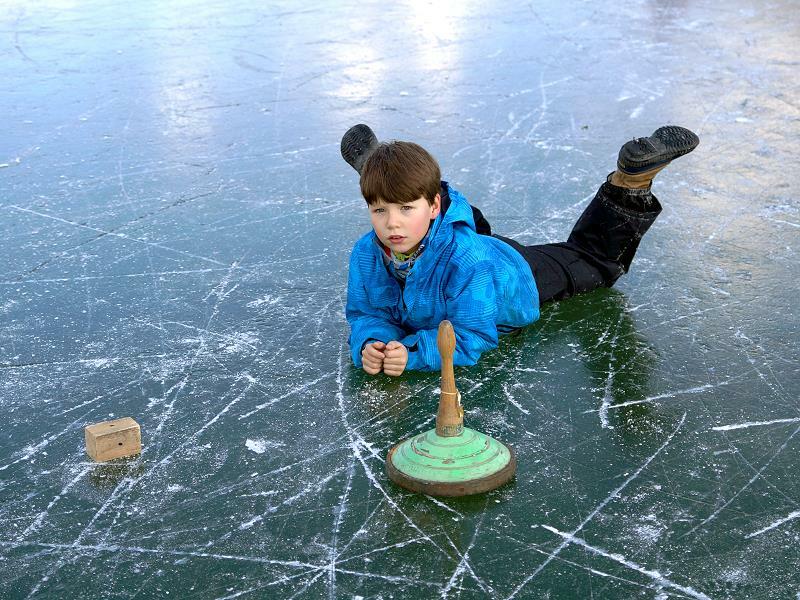 The first weeks of February are entirely dominated by traditional curling. 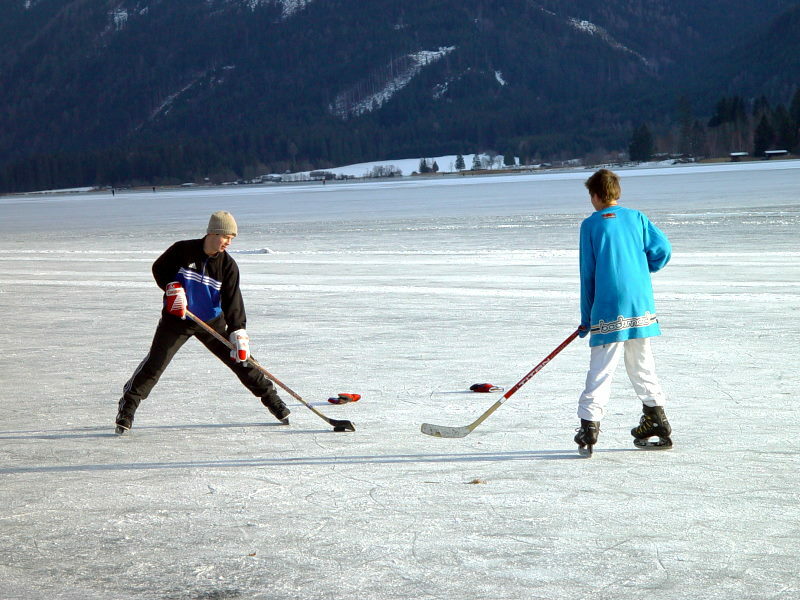 You can join in the “Lattlschießen” practice on the skating rink in Berg or on the lake. And there is a curling session for beginners every week. Cross-country skiing equipment and toboggans are available free of charge from the Hotel. Everything else such as skates, ice hockey sticks and pucks, skis, snowboards, etc. can be hired locally or directly on Lake Weißensee.